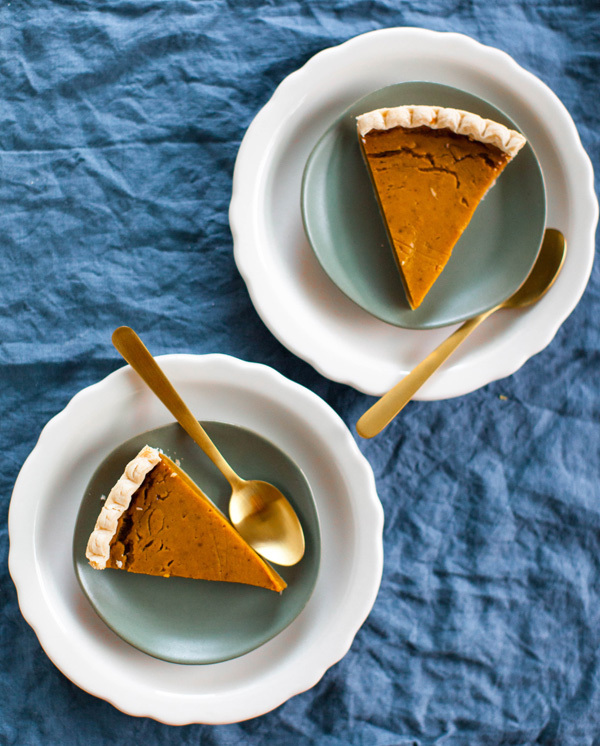 Don’t miss the video for this silky vegan pumpkin pie and 2 more delicious vegan dessert recipes below! I love the kinds of hearty, warming, and soothing foods that come with autumn. Orange, brown, and yellow gourds, nuts, and tubers match up so beautifully with the turning leaves, and they taste amazing no matter what color they are! In LA, yes, there are a lot of palm trees and succulents, and it doesn’t get very cold, so foliage seems to stay green year-round, but we do occasionally come across those multicolored fall leaves that are a perfect companion to Thanksgiving dishes. And I’m making sure to make up for the scarcity of fall leaves by stocking up on fall treats! After putting together 3 very colorful and incredibly delicious savory Thanksgiving dishes (mashed potatoes with mushroom gravy, smoky maple roasted vegetables, and butternut squash lasagna—also check out the video featuring all 3 🎃😋🍂), I moved onto 3 equally scrumptious desserts. 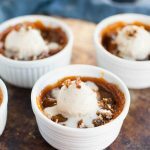 Following a light, healthy apple tart and a fancy crustless pecan pie, I present to you the easiest to make of the bunch (although your family will never guess it once they taste how perfect it is): Vegan Pumpkin Pie. 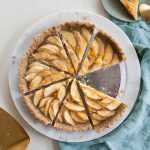 This one is so easy that you might want to up the difficulty level a bit, so feel free to make your own crust at home. 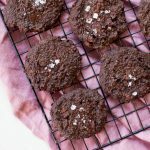 I have a couple of great ones for you to try, one flaky and one nutty—both vegan! The store-bought crust I like to use is by a brand called Wholly Wholesome. They make a few different types of vegan pie crusts; I like the traditional one. 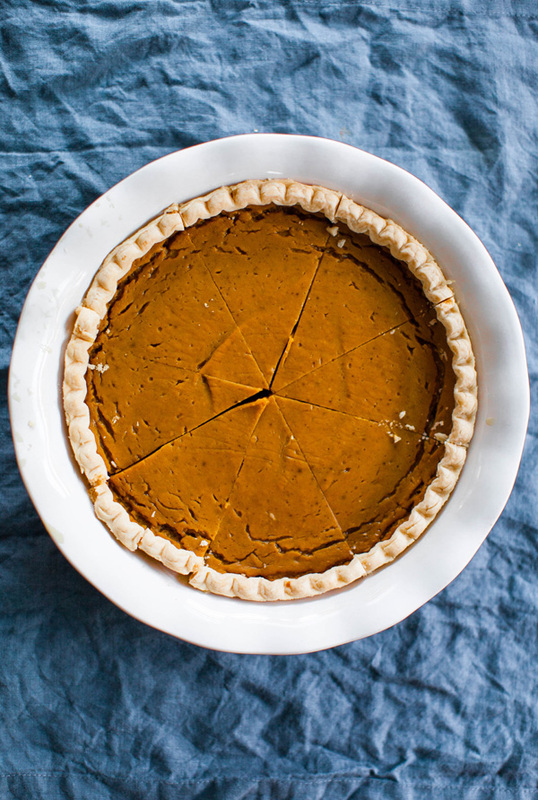 Any of crust these options, store-bought or homemade, will result in an amazing vegan pumpkin pie for your Thanksgiving table. Have a beautiful fall and a happy Thanksgiving! If you’re eating with carnivores, bring some vegan treats to show them what they’re missing. I have lots more ideas for you on my Thanksgiving Pinterest board. 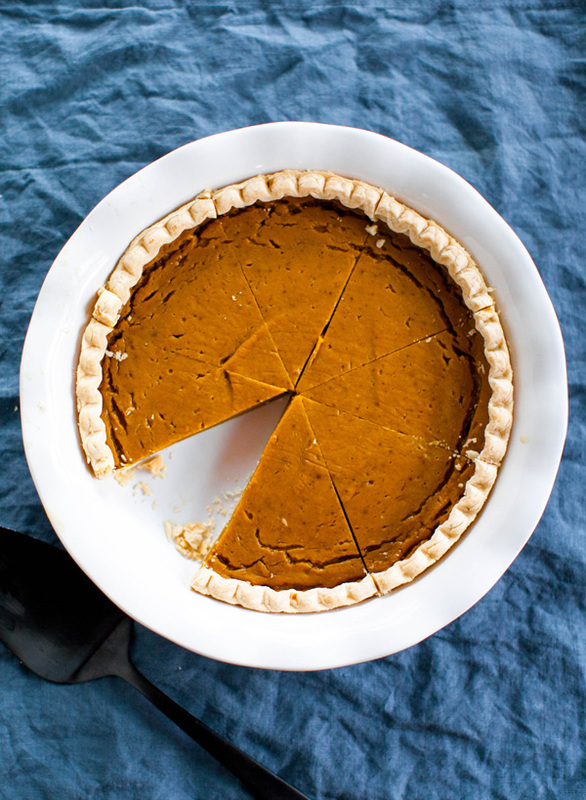 This recipe was adapted from my vegan sweet potato pie recipe http://sweetpotatosoul.com/2014/01/how-to-make-vegan-sweet-potato-pie.html MAKES 2 PIES. Half the recipe if you'd only like to make one pie. Place all of the filling ingredients into the blender and blend until smooth. Fill the crusts with batter, and bake for 50 minutes. Remove from the oven to let cool for at least 30 minutes, then set in the fridge to chill for 6 hours or overnight.